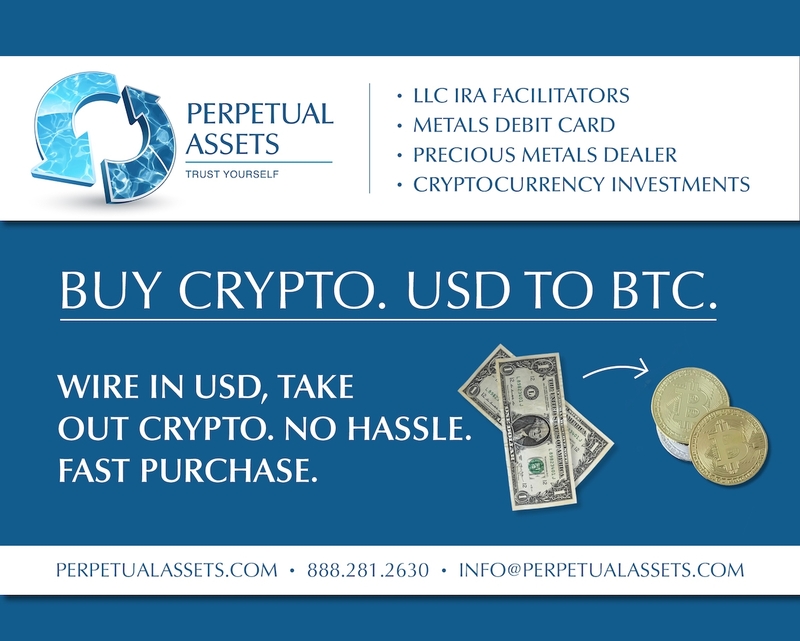 Perpetual Assets Inc was our solution. No headaches, no hassles, and near immediate service. This service is available for our LLC IRA Clients or can be utilized by Individuals who are not clients after all compliance has been met. The Client would begin by filling out one of our online applications. Once the On boarding form and User Agreement is filled out Perpetual Assets then runs the Client through the mandatory compliance of KYC and AML steps. Upon completion of these steps Perpetual Assets notifies the Client of Bank Wire Instructions for the transaction. 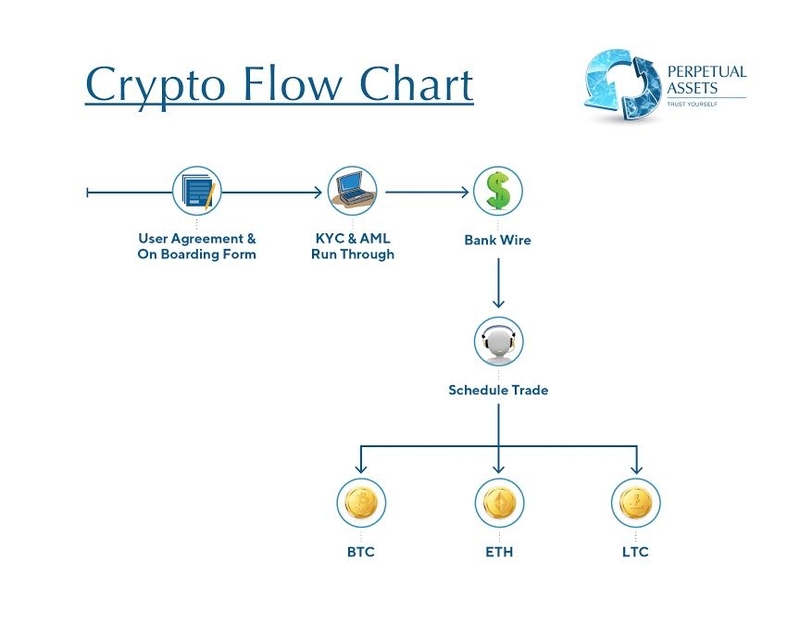 Once Bank Wire is received the Client receives an email asking for scheduling trade date and time, along with providing the Wallet Addresses for which Crypto the Client is purchasing. We then execute the trades with the Client over the phone. The moment the trade is completed we immediately conduct a small test transaction to confirm that the Crypto was received by the Client. Once the test transaction is confirmed by both Perpetual Assets and the Client, the remaining balance of the trade is deposited onto the the wallet. An Invoice for the transaction is then generated immediately following the deposit. Our model is undercutting other vendors in the space that charge 12-15%.